La Rosière is a great resort that holds the key to a French-Italian ski area with 160km of pistes, boasting long and gentle, sunny slopes on the French side and more challenging skiing on the north face of the mountain in the Aosta Valley. La Rosière is perfect for all types of skier: families and beginners can meander around the sunny southern side of the mountain while pleasure-seekers set off on a quest to sample some Italian delicacies across the border. Perched on a mountain balcony overlooking the Tarentaise Valley, La Rosière offers wraparound views and glorious sunshine from dawn to dusk! 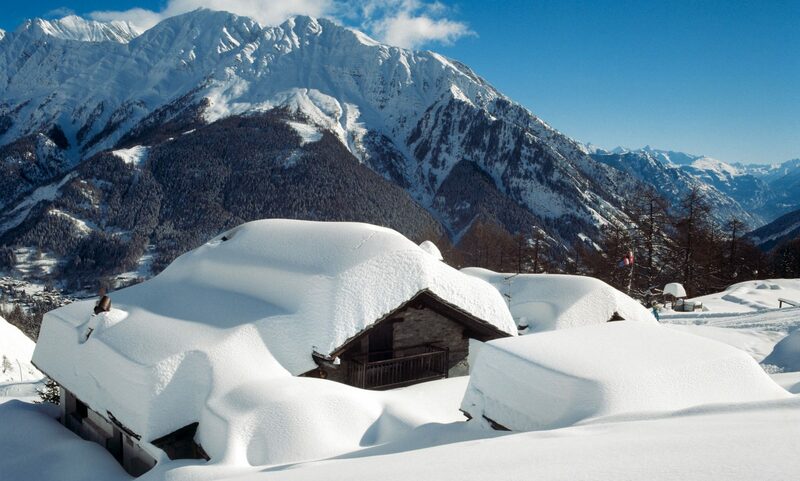 Easy-living, sunshine and snow are all on the menu in La Rosière! Located just a few kilometers as the crow flies from Mont Blanc and the Petit Saint-Bernard pass, the Espace San Bernardo (France-Italy) benefits from excellent snow cover from mid-December to the end of April. The ski area regularly ranks as one of the top ski resorts in the northern Alps for snowfall. The only international ski area in the northern French Alps, the Espace San Bernardo has linked La Rosière with the Italian resort of La Thuile since 1984. Grab your skis and set off on an adventure to explore breathtaking landscapes, awe-inspiring peaks and a whole other culture. La Rosière is still being developed and boasts a selection of new projects that blend seamlessly with the resort’s traditional wood and stone chalets. The commune and its inhabitants strive to ensure that these new buildings adhere to the resort’s carefully planned expansion and tie in with the spirit of the village. The brand new Hyatt Centric La Rosière opens in town. What is new for 2018 on the slopes! The Petit Saint-Bernard Funcross is now a 1000 m long course where the whole family can join in with the fun. Follow the Saint-Bernard dog themed course where you will find new modules, tunnels and gongs. To access this park, use the Plan du Pepos chairlift. Early risers can have the mountain for themselves at La Rosière! La Rosière- Espace San Bernardo is installing a panoramic footbridge at the top of the Fort Express chairlift. Those who dare take a step into the void, suspended high above the ground will be rewarded with a breathtaking unobstructed view of Mont Blanc and a 360 (degree) panorama of France and Italy. A PhotoPoint with remote triggering allows skiers and hikers to share their spectacular selfies in a quick and easy way. To celebrate the start of spring, La Rosiere invites avid skiers to enjoy skiing at rock bottom prices from 7th to the 20th April 2018. This package includes high-quality accommodation and Espace San Bernardo lift passes, so that you can spend your days out on the sunny slopes. And to round off the season in style, guests are invited to accompany the slope patrol on their last descent on 20th April, before enjoying a free drink and a chat back in resort. From 207 EUR per person including 7 nights accommodation + 6 day Espace San Bernardo lift pass (offer valid for parties including a minimum of 3 adults). La Rosière is a great place for families skiing together and caters all types of skiers and boarders. A unique experience in France and Italy! Combine a weekend skiing the exceptional Espace San Bernardo area with an unforgettable day of pampering at the stunning Pre Saint Didier thermal spa in the Aosta Valley. Relax in the 37C thermal waters springing from the heart of the mountains. A true opportunity to enjoy all that this French-Italian ski area con offer. From EUR 195. 2-day Espace San Bernardo ski pass – One night with half-board in a charming 4-star hotel, Entry to the Pre Saint Didier thermal Spa (on day 1, from 3PM onwards), transfer in a private minibus (from the bottom of the slopes in La Thuile to the hotel). Off piste at La Rosière or crossing to La Thuile could be a great experience. An average of more than 6 m accumulated snowfall every winter in the resort (7 m in 2016) and up to 10 m some years. Read our last story on Val di Fassa here. Previous PostPrevious Val di Fassa in Trentino just opened and is awaiting for you! Next PostNext Vallnord – a resort for families and experts alike!